-Can't wait till the kids are back in school and you can have the whole house to yourself?? 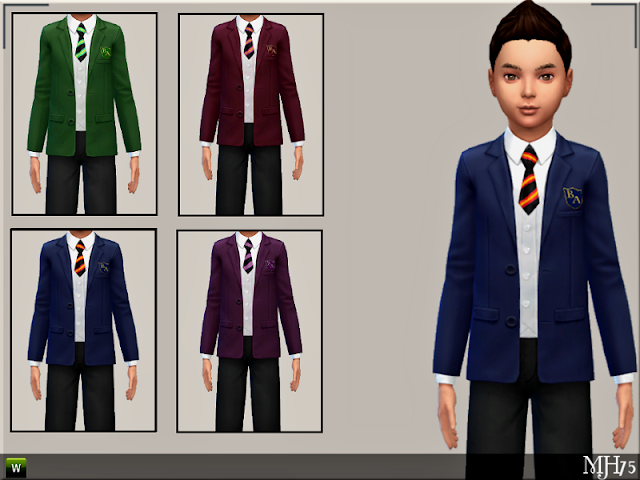 I know I can't wait haha :) :P This set is lovely school uniforms for your child female sims. Consists of a school shirt, blazer with crest, a tie and a pleated skirt. Send your sims children to the fanciest school your money can buy in these lovely little uniforms.